Come break-bread with Northwest Chamber Members and guests. 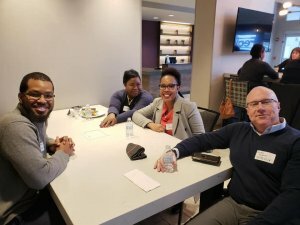 This networking event is a FREE chance to sit down and get to know local business professionals. 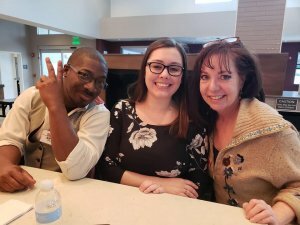 Come have a tasty dinner and share some laughs while networking. All you need to do register now then buy yourself dinner at our host’s location that evening. We thank for Rincon Italiano for hosting us! 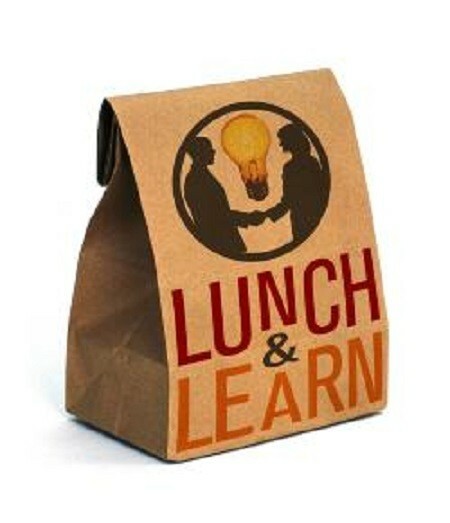 Network with 30-40 local business owners and professionals while enjoying a FREE lunch. This monthly networking event normally sells out- so save your seat now. 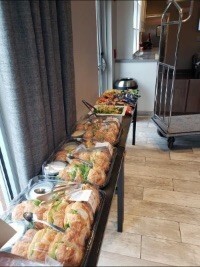 We thank Studio 9854 for hosting our March Lunch & Learn! Includes a trade show. Show off your business for ONLY $175, includes one registration fee. $200 for non-members. First Come, First Served! 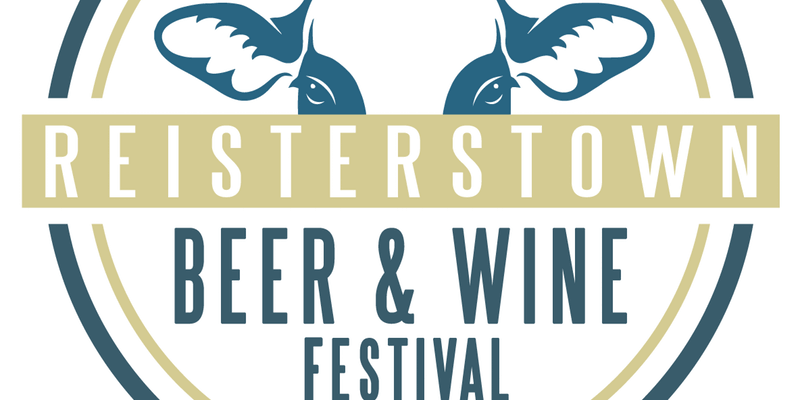 New Community Event: Reisterstown Beer & Wine Festival! Intersection of Village Center Rd and Historic Main St. The Reisterstown Improvement Association and the Northwest Chamber of Commerce are Co-Hosting the first Annual Reisterstown Beer & Wine Festival! This exciting new event brings together some of the best Maryland breweries, wineries, and distilleries in one amazing dayt. The event features live music, artisans and food celebrating all things Maryland. Admission includes a souvenir tasting cup and unlimited samples from breweries, wineries, and distilleries from around Maryland. Wine, cocktails, and bottles to take home are available for purchase. 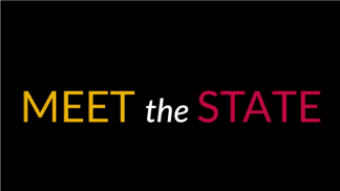 Meet the State is a full day, immersive experience with the General Assembly and the Maryland Chamber of Congress Government Affairs team. 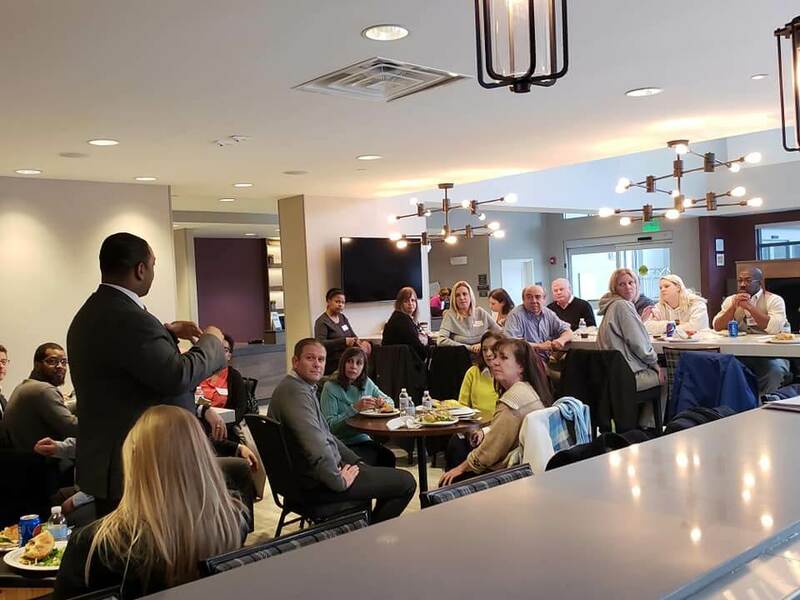 You’ll not only learn about upcoming issues that impact your business, you’ll engage in informed discussions with your state legislators about how those issues affect you directly. 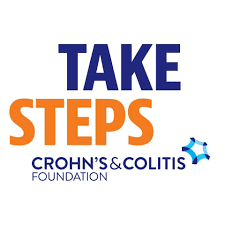 1 in 200 Americans live with Crohn’s disease and ulcerative colitis, yet there is no cure. That’s why The Champions is participating in Take Steps on 06/08/2019! Our team will be uniting together for hope, and walking together for cures in a welcoming and inspiring event. To join our team, or to donate, please visit click here. To help employees without paychecks who are struggling to make ends meet. Baltimore Humane Society through its Bmore Kind Pet Food Bank, will be distributing dog and cat food donated by Safeway. For more than five years, the no-kill shelter has been assisting pet owners who have fallen upon hard times for the past five years. The shelter began its pet food bank service when people coming to the adoption center began asking for spare food to feed their pets. Part of Baltimore Humane Society’s mission is to end the homelessness of pets in the community, and by providing food the pet food bank helps pet owners get through difficult times without having to give up their pets. Safeway generously donated $10,000 worth of its Own Brand dog and cat food providing the shelter with a large supply to meet the needs of affected federal employees. Pet owners needing help are asked to come to the Baltimore Humane Society during regular operating hours: 9am to 6pm, Tuesday – Friday and 9am-3pm, Monday. Baltimore Humane Society staff will portion out a month’s supply of food per person until supplies run out. Federal employee I.D. will be required to receive aid. Baltimore Humane Society is a private, non-profit animal shelter and does not receive any operational funding from the government or national humane societies. Without the generosity of businesses like Safeway and the community-at-large, the Bmore Kind Pet Food Bank could not exist and the doors of the shelter would not be able to remain open. For questions about Baltimore Humane Society’s aid for federal workers, call 410-833-8848 ext. 212. Pet food will not be available till later this week. Baltimore Humane Society feels it’s the responsibility of all citizens to work together regardless of political affiliation. The Baltimore Humane Society, founded in 1927 by Mrs. Elsie Seeger Barton, is an independent, non-profit, no-kill animal shelter, which offers low-cost veterinary care to the public, and a pet cemetery with grief support services. We receive no funding from the local or federal governments, or any national animal welfare organizations. The Baltimore Humane Society is a proud member of BAWA (Baltimore Animal Welfare Alliance) along with the MD SPCA, BARCS (Baltimore Animal Rescue & Care Shelter), and Baltimore City Animal Control. For more information about BHS, and how you can contribute, volunteer, adopt, or foster, please visit www.bmorehumane.org. Safeway and its Eastern Division are part of Albertsons Companies, one of the largest food and drug retailers in the United States, with both a strong local presence and national scale. The Eastern Division operates 113 stores in Maryland, Virginia, the District of Columbia and Delaware. Albertsons Companies operates stores across 35 states and the District of Columbia under 20 well-known banners including Albertsons, Safeway, Vons, Jewel-Osco, Shaw’s, Acme, Tom Thumb, Randalls, United Supermarkets, Pavilions, Star Market, Haggen and Carrs, as well as meal kit company Plated based in New York City. Albertsons Companies is committed to helping people across the country live better lives by making a meaningful difference, neighborhood by neighborhood. In 2017 alone, along with the Albertsons Companies Foundation, the company gave nearly $300 million in food and financial support. These efforts helped millions of people in the areas of hunger relief, education, cancer research and treatment, programs for people with disabilities and veterans.